I recently held an event for a group of health conscious women focused on eating and preparing healthy food. 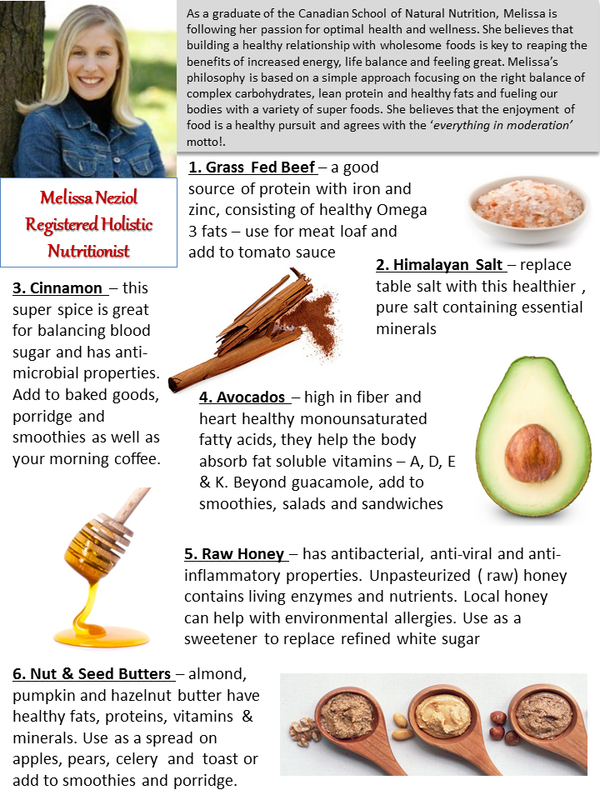 I invited a friend's daughter, Melissa, who recently graduated as a Registered Holistic Nutritionist to share some information with the group. Specifically I asked her to tell us what foods we should be adding to our grocery cart for optimal health and wellness - foods that we might not know about or have considered. We all found her presentation very interesting and inspiring. Here are her top picks. 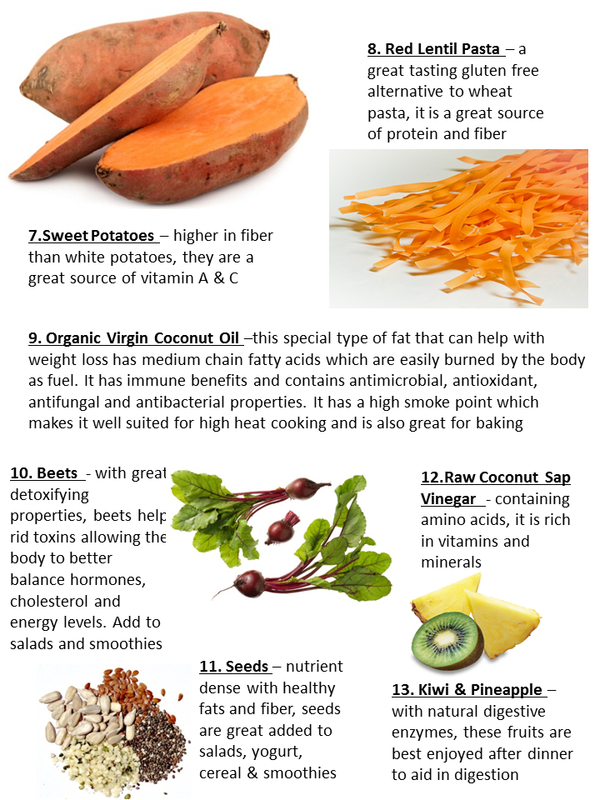 Most of these foods can be found in the grocery store or your local health food store. I am pleased to say that I have stocked my pantry with these goodies as well as many of the ladies who joined us.